The School of Medicine Office for Diversity wants Faculty, Residents and Students to be apprised of Diverse Opportunities, with regard to development, scholarships, and awards. Check back here, regularly, for updates about deadlines and requirements. Our goal is to be involved throughout the application process in order to provide feedback, ensure completeness and competitiveness, as well as endorse qualified candidates. Fairmont Chicago – Millennium Park, Chicago, Ill.
Ritz-Carlton St. Louis, St. Louis, Mo. The Ritz-Carlton, New Orleans, La. The Reider/Otis Scholarship will provide a one time gift of $5,000 to an LGBTQ student or to students who have demonstrated a willingness to advance the rights and acceptance of the LGBTQ community. Available for undergraduate or graduate students, excluding first years, who attend the University of Virginia on a full time basis, this scholarship can be applied for, or you may nominate a candidate who is also willing to apply. The Herring Scholarship seeks to award $5,000 to a current undergraduate or graduate student of any year who demonstrates leadership, citizenship, and fellowship and has actively supported, through volunteerism and advocacy, the LGBTQ Center at the University of Virginia. Students, faculty, staff, and alumni of the University are invited to submit nominations. The Peter Page Scholarship provides $10,000 in scholarship funds to highly-motivated gay male students. This merit scholarship is available for incoming first-year students who will attend the University of Virginia on a full-time basis. Decisions are based on the students’ academic achievements, essays, recommendations, extracurricular activities, and awards demonstrating exceptional commitment to bettering the LGBT community. The Peter Page Scholarship also provides grants to highly-motivated gay male students with financial need. Current undergraduate or graduate students who attend the University of Virginia on a full-time basis can apply for a one-year grant. Decisions will be based on academic achievements, financial need, essays, extracurricular activities, and awards demonstrating exceptional commitment to bettering LGBT community at UVa and beyond. 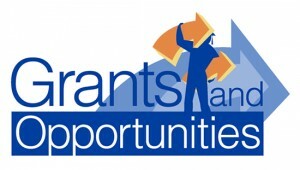 Recipients can apply for the grant again the following year. The Serpentine Society will work with the UVa Financial Aid Office to determine the amount that each individual student shall receive. The V. Shamim Sisson Ally of the Year Award seeks to recognize a member of the U.Va. community who has gone above and beyond in their daily life in supporting the LGBTQ community, furthering the rights and acceptance of queer-identified individuals at the University of Virginia and beyond. Understanding that allies come in many shapes and sizes and with varying access to resources, we encourage and welcome student, faculty, staff, and alumni nominees. This award brings necessary attention to the important role that allies play in the fight for equality, social justice, and the acceptance of the LGBTQ community. The V. Shamim Sisson Ally of the Year Award is presented during The Annual Serpentine Society Fall Weekend.